Information on the accessible services available CARTA provides to disabled customers. All CARTA fixed route buses are wheelchair accessible and meet the Americans with Disabilities Act (ADA) requirements. CARTA also offers Para transit services (Tel-A-Ride) for eligible customers with disabilities and are unable to use regular fixed route services. It is the policy of the Charleston Area Regional Transportation Authority that all CARTA-sponsored public meetings and events are accessible to people with disabilities. If you need assistance in participating in this meeting or event due to a disability as defined under the ADA, please call the CARTA ADA Coordinator at (843) 529-0400 Ext. 202 or e-mail JBurns@ridecarta.com at least three (3) business days prior to the scheduled meeting or event to request an accommodation. How to Get a CARTA Disability ID Card? Audiotape and Braille -- When requested we can provide CARTA materials in accessible formats. Please email askcarta@ridecarta.com or call (843) 724-7420 for assistance. TTY/TTD -- Need special assistance by phone? Call our TTY/TTD phone number, (843) 747-1499. CARTA is committed to making our public transit system increasing accessible to members of the community with various disabilities. Lifts accommodate wheelchairs and other mobility devices. Buses lower or “kneel” to the curb to make boarding easy. Priority seating is available for customers with disabilities. These seats are conveniently located at the front of the bus. Bus operators will secure wheelchairs and scooters. Fare is only $0.75 everyday, all day with valid CARTA Card. Riders with disabilities can ride the bus at a reduced fare. You must have a CARTA ID Card issued by SC Works (formally Trident One Stop) to qualify. For more information, see Special Rates. Make sure you have a photo ID and proof of disability before applying. Apply in person at SC Works (Formally Trident One Stop), 1930 Hanahan Road, North Charleston, SC 29406 or call (843) 574-1800 or (843) 574-1810 to request an application by mail. If you have difficulty getting to the bus stop and/or riding fixed-route buses, view information on CARTA’s paratransit service Tel-A-Ride. If you’re visiting Charleston and are disabled, you can ride CARTA at the discounted rate when you show your Medicare Card, or your Disabled ID Card from your home transit system. 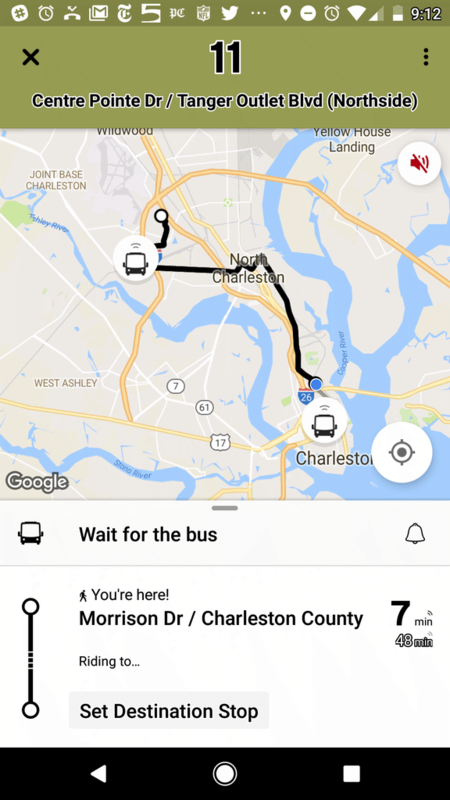 A visitor to the Charleston area may also use Tel-A-Ride if he or she is certified by another transit system or is found to be eligible for the service in Charleston. Likewise, a Tel-A-Ride patron may be eligible for similar service in other cities. Your Tel-A-Ride identification card will certify your eligibility for paratransit service in Charleston. For questions, send an email to askcarta@ridecarta.com or call 843-724-7420.